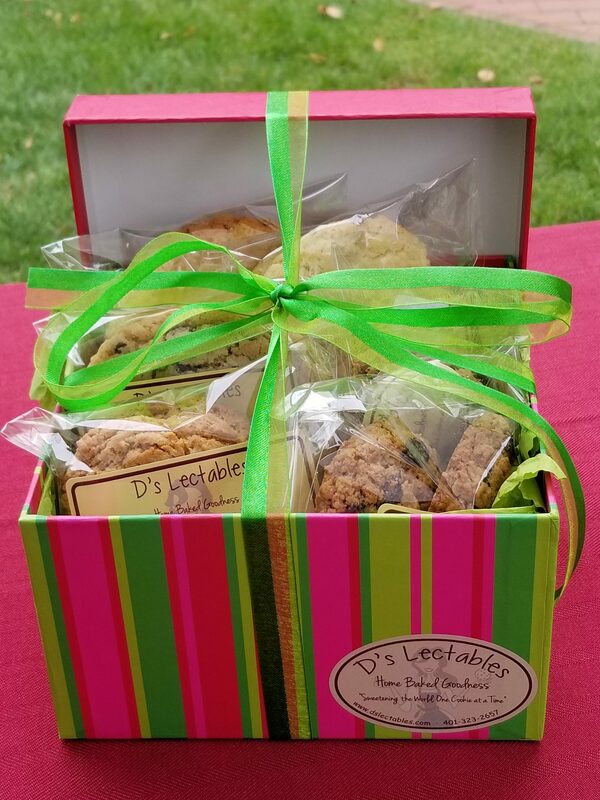 Why shop D’s Lectables for Fresh Baked Cookies? All of our Fresh Baked Gifts are made to order. Never premixed or frozen. Every batch of cookies we make is made exclusively for you. 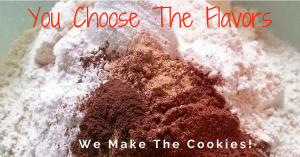 Pick a tried and true flavor or make your own with my Create Your Own Cookie option. No matter what you choose you can be assured that it was made with the freshest local ingredients including farm fresh eggs, creamery butter, pure vanilla, and unbleached flour. Every batch is always mixed fresh, hand-scooped, baked, wrapped, and shipped the same day. You choose the flavors, occasion, and add your own message making every order unique and a truly one-of-a-kind personalized gift. Need additional customization information or have questions? Contact me at darlene@dslectables.com. For more options, visit Party Baskets and Party Favors. 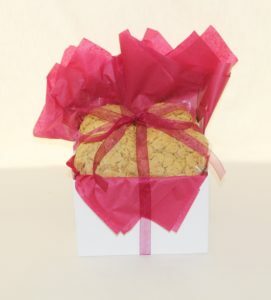 Choose either 6, 12 or 18 fresh baked cookies packaged in a stylish gift box and ribbon to match your gifting occasion. Assorted Cookie gift boxes contain 6, 12 or 18 fresh baked cookies in a minimum of 3 different flavors. Choose the diet style, occasion and include your personal message. 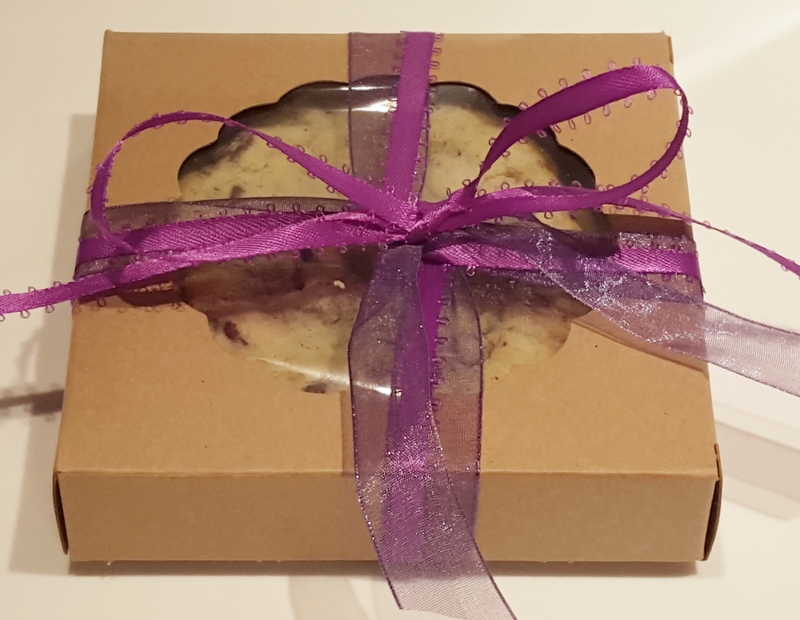 Cookies come in a stylish gift box with matching ribbon. Show them how much you care with a Customized Cookie Assortment made especially for them. You choose the 3 flavors, occasion and include your personal message. Cookies come in a stylish gift box or basket with matching ribbon. This fresh baked plate sized cookie never fails to make an impression. Choose either the 10″, 1 1/4 lb. Baby Big or the 14″, 2 1/2 lb. Big Mama. 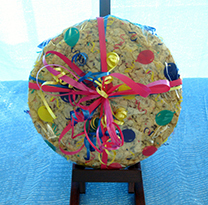 Available in a variety of flavors and wrapped in decorative cello with a ribbon to fit your gifting occasion. Let your inner artist fly free and create the most perfect personal fresh baked gift. Start by choosing your dough then add the fixings to make a creation all your own. Corporate events, party favors and holiday gift giving for clients, teachers, and coworkers are just a few examples when bulk gifting comes in handy. 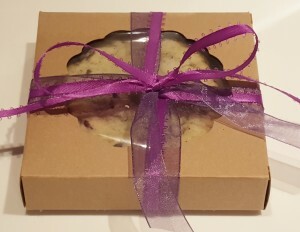 Available as gift bags or boxes with an assortment of your choice of cookies. These gifts are versatile enough for any occasion and are sure to please everyone. Send the gift of cookies. Available in 3, 6, or 12 month subscriptions. 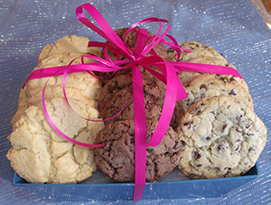 Get 1 or 2 dozen cookies shipped right to your front door every month.